One of the peculiarities that most strikes visitors to Turkey is the pervasive presence of a political leader who died more than seventy years ago. Every classroom in every school, every office in every government department has his picture on the wall; every public square in every village, town and city has a statue prominently placed. Our tendency is to feel that there must be an element of compulsion involved. How can a free people willingly engage in such idolatry? Certainly other nations have their founding heroes, but I can think of none who holds the place in his people’s hearts that Mustafa Kemal Atatürk holds in the hearts of the people of Turkey. Perhaps the nearest rival is George Washington, whose pictorial place on the US dollar bill symbolises his importance as founding father of the United States. The English have two queens with particular claims to fame: Elizabeth I, the mother of England, and Victoria, of the British Empire – but nobody much hangs their pictures on the wall these days. Cross the Channel to Europe and you’ve got Napoleon Bonaparte in France. However, since he set back republican progress for the best part of a century, you might question his achievement. Prior to him, you have to go back to the 9th century to find a French leader of much note, but who’s heard of Charlemagne these days, much less knows what he did? Germany has a more recent claimant (if we tactfully ignore Adolf Hitler). Otto von Bismarck was the driving force uniting the German nation in 1871, and you’d have to say Europe would be in much deeper trouble these days without the Germans. Peter the Great did a lot of big stuff for Russia back around 1700, but I don’t know what the Russians think of him now. Outside of Europe? Well, Gandhi in India, of course, and Nelson Mandela in South Africa; hard to find fault with them. The Chinese might suggest Mao Zedong, and Fidel Castro was the public face of Cuba for most of fifty years. That’s quite a club to join, isn’t it! But how do you rank them? What criteria would you use to determine their impact on the world? If you go for population size of their countries, Gandhi and Mao Zedong top the list. On the other hand, if you think in terms of global economic and military power today, and the lasting effects of his legacy, it’s hard to go past George Washington. When it comes to personal sacrifice and commitment to a cause, Mandela, and once again, Gandhi look pretty good. Take the business model of time and motion effectiveness and Bismarck got the job done quickly, which suggests impressive personal power and influence. 2. Requests the Director-General to take the necessary steps for the implementation of this resolution. Well, that would seem to take care of the question of international recognition. Nelson Mandela has been named a UN Goodwill Ambassador, and UNESCO issued a commemorative medal to mark the 125th anniversary of Mahatma Gandhi’s birth – but neither, as far as I know, has yet been accorded a ‘Year’ to himself. So let’s return to the reasons why Atatürk remains so beloved by the Turkish people, and I want to draw your particular attention to these words from the UN resolution: ‘he was an exceptional reformer in all the fields coming within UNESCO’s competence’. These fields are summarized by the letters ESC in the acronym: ‘Educational, Scientific and Cultural’. So clearly the people at the UN had other factors in mind than mere military success when they decided to honour Atatürk. Books have been written on this subject, so for the purposes of this article, I want to focus on one aspect – his achievements in the field of economics. It is appropriate, then, to glance briefly at the Turkey which gained its status as an independent republic in 1923. 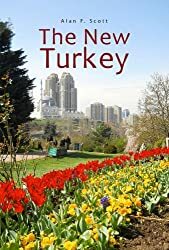 The first thing to recognise is that the new Turkey was the rump of the old Ottoman Empire, a once proud entity that had become the plaything of European powers, and a laughing-stock for its social, cultural, technological and economic backwardness. The Anatolian heartland comprised around twenty percent of the territory of the Ottoman Empire in 1914, and a minute fraction of its peak in the 17th century. When it became the Republic of Turkey in 1923 it had been devastated by ten consecutive years of war on fronts on all its boundaries. The total population was around 13 million and productive manpower was severely depleted. Adult literacy was less than 20% and there were nearly 13,000 people for every doctor. The Republic had been achieved, but the economy was in tatters. Building a modern developed nation required a vision and a mechanism. Mustafa Kemal’s economic mechanism was ‘statism’ (Turkish devletçilik). The essence of this is that ‘the state has a major and legitimate role in directing the economy, either directly through state-owned enterprises and other types of machinery of government, or indirectly through economic planning’ . His vision was an educated population with an improved standard of living for all, and a nation free from foreign control. It was, we may say, the ‘Third Way’, so sought after (but sadly, not found) by New Labour politicians and pseudo-leftists of the Tony Blair variety – avoiding the pitfalls of Socialism/Communism on the one hand, and unfettered free market capitalism on the other. To the extent that Turkey under Atatürk vastly improved internal communications (including new and improved roads and railways), quadrupled electricity generation, and greatly increased agricultural and industrial production, we can say his policies were successful. An interesting question, of course, is how he managed to achieve these successes. Money does not grow on trees, as we are often told – and within six years of the foundation of the Turkish Republic, the world was plunged into a catastrophic economic Depression. Now I’m not going to pretend that I know where the money came from, but I want to share with you some things I do know about that period of world history, in which Atatürk was an important and well-informed participant. I have just been reading ‘A History of Economics’ by the eminent American economist, John Kenneth Galbraith. It’s getting little old now, since it was published back in 1987, but I think, as an observer of our world in economic terms, Galbraith pretty much hits the spot – and his predictions for the future have a ring of truth when tested against our own experience of the last decades. He explains why classical orthodox economic thought was so helpless in the face of the Great Depression. Simply put, the Depression shouldn’t have happened. In an ideal free market world, prices, wages, investment, interest, and production all balance each other out at their optimum level. Leave it to the market, and all will be fine. But it wasn’t, of course, as five or six years of the laissez-faire approach served to show. In the end, it was the English economist, John Maynard Keynes, coupled with the economic stimulus of the Second World War that got the world into the good years of the 50s and 60s. Keynes it was who sanctified deficit spending, whereby governments were permitted, nay, encouraged, to push-start their moribund economies by spending beyond their income, the gap to be bridged by private-sector borrowing. Keynes’s legacy lives on, despite the ranting of conservatives for balanced budgets. The USA is far and away the largest debtor-nation on Earth. Something you won’t find in such histories of economics is reference to a debate that shook the world of finance in the 1920s and 30s, and continued in some countries well into the 50s and 60s. This was the question of where money actually comes from. As Galbraith says, and everyone knows who pauses to think for a moment, ‘money’ is not an easy concept to tie down. Clearly the notes and coins in our wallets are a small part of it. There are the bank deposits that we may or may not choose to call on with our chequebooks and ATM cards. There are the credit cards with their generous limits that we may or may not choose to make use of. There are the personal loans for cars, houses and holidays that my bank often offers me, of which I may or may not avail myself. Some economic thinkers and politicians after the First World War were of the opinion that what they called the ‘nation’s credit’ should be under the sole control of the state. I want to inject a little New Zealand history here, since that is what I am most familiar with. At the height of the Great Depression, in 1935, New Zealanders, in desperation, elected their first ever Labour Government. The leader of that government, Prime Minister Michael Joseph Savage, is undoubtedly the nearest thing we have to an ‘Atatürk’ in our history. Twenty and even thirty years later, pictures of that saintly man were still to be found hanging in the houses of grateful citizens. A large mausoleum stands to his memory in a park in one of Auckland’s most beautiful locations. Savage’s fame rests primarily on one achievement: the building of a large store of state houses. The project employed thousands of New Zealanders at a time when unemployment was at a disastrous level; stimulated industrial production at a time when there was no money for investment; and provided low-rental, good quality accommodation for previously impoverished and ill-housed citizens. In the eyes of ordinary New Zealanders, Savage was a worthy candidate for beatification! The thing is, it wasn’t really Savage who did it. The mostly forgotten architect of the scheme was a First World War hero, charismatic orator and self-educated economics whiz-kid by the name of John A Lee. Despite being a major factor in the Labour Government’s electoral success, he was overlooked for ministerial appointment, and thrown the under-secretaryship of housing as a consolation. Seizing his chance, Lee persuaded his cabinet colleagues to authorize the provision of Reserve Bank credit (ie new money) at minimal interest to finance the housing project. It was the one and only time such a measure was used. NZ’s Finance minister was summoned to London, where it is thought he was told by political and financial leaders to toe the orthodox line in future. Lee, who refused to cooperate, was expelled from the Labour Party – and subsequent Labour Governments have fallen into the accepted borrow-and-hope mould. But it wasn’t just an isolated incident. Canadians especially liked the Social Credit (as it became known) financial concept, and public pressure forced the government to set up a Royal Commission on Banking and Currency in 1933. Continuing electoral support for the idea obliged the New Zealand Government to follow a similar course in 1955. Both Royal Commissions acknowledged that money creation is, in fact, a function of the private banking system, rather than the sovereign right of the state, as most people naively continue to believe. It has been suggested that Keynesian deficit financing was a direct response to, and an attempt to destroy the momentum of the monetary reformists. If so, it was largely successful. ‘Money is power’ , and these days, the idea has pretty much disappeared from sight or public interest. Present-day US citizens attempting to invade Wall Street, and like-minded souls protesting in cities throughout the world against the immorality and social destructiveness of the activities of the financial sector know what they are angry about – but unfortunately have no rallying philosophy or mechanism to offer as an alternative. Social status is of no use to the nation – service is the thing. Whoever serves the nation has the highest status. Educators, what our republic needs from you is young people who can think, know right from wrong, and have open minds. War can only be just or justified if it is fought out of sheer necessity or for reasons of national defence, or pursued by a people awaiting their sovereignty, their very lives depending on it. This entry was posted in Atatürk MK, Economics, monetary reform, New Zealand, Ottoman Empire, Turkish Republic, Wall St. Bookmark the permalink. ← Cyprus, Turkey and the EU – Getting it wrong again? What an interesting subject and post! How did banking work in the Ataturk era in Turkey? Good question! Needs some research.